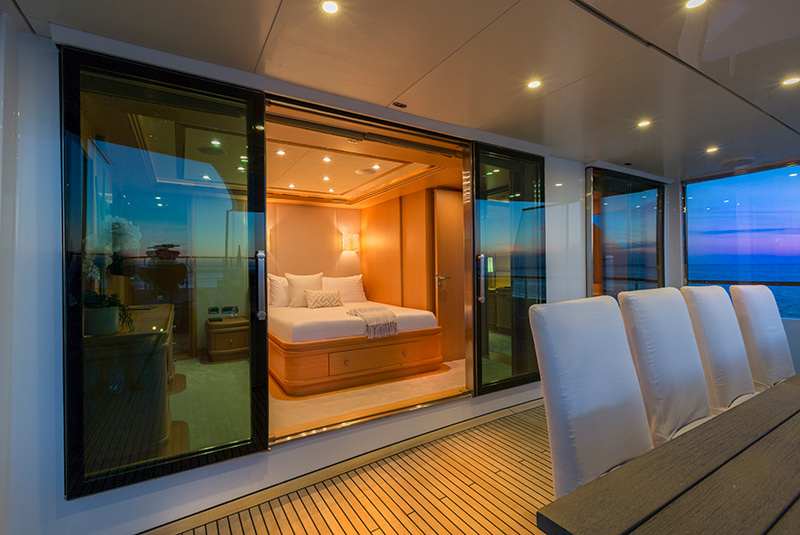 139′ ICE 5 Proteksan Available for Charters! 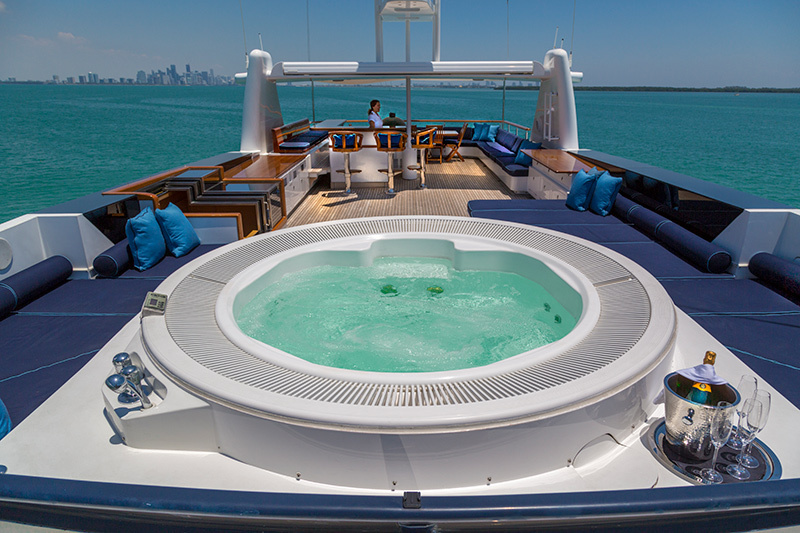 Home > Superyacht news > 139′ ICE 5 Proteksan Available for Charters! 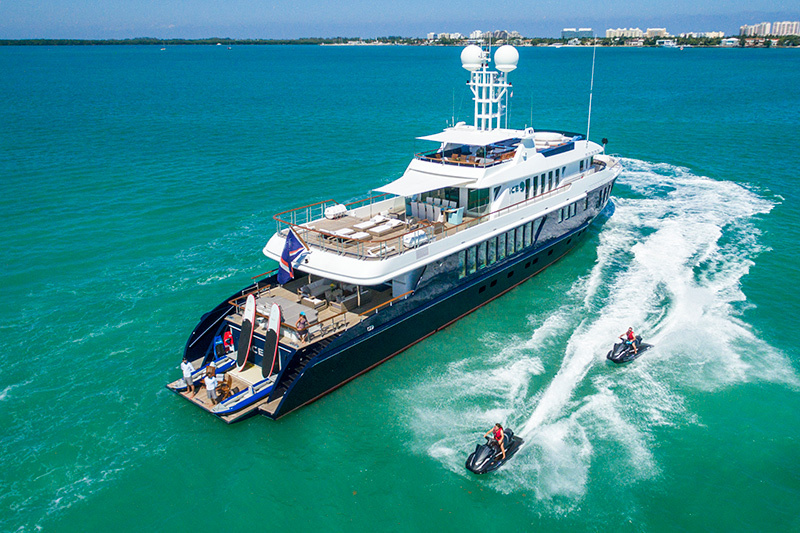 ICE 5 underwent a complete top to bottom refit in 2017 to offer a brand new charter experience. The interior has been completely remastered by RH Interior Design and now features magnificent modern furnishings and decor. 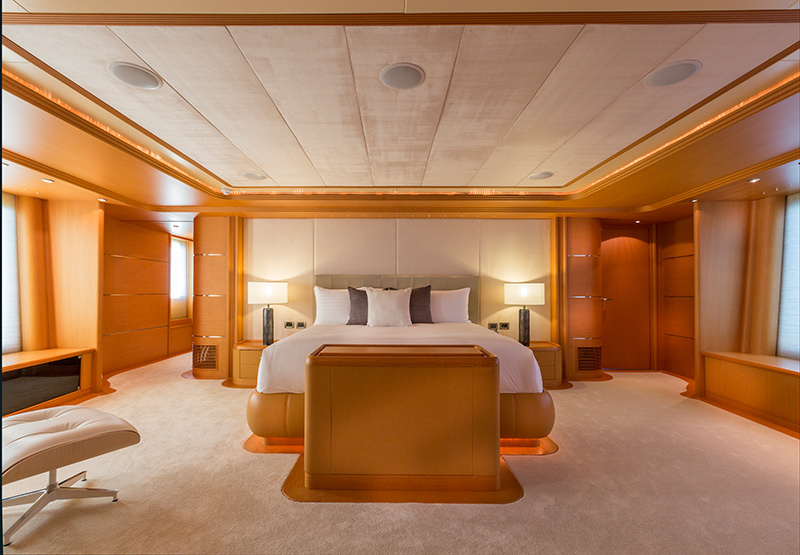 In addition to the interior overhaul Charter Yacht ICE 5 completed a maintenance and AV refit as well. 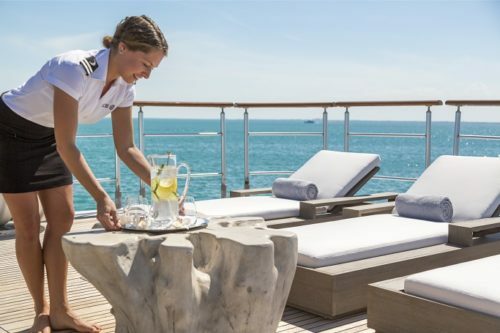 Accommodations onboard this spacious 43m Proteksan include a full beam master, a luxury VIP stateroom, 2 queen staterooms and 1 twin stateroom with large plush twin beds. The full beam master suite features large windows allowing natural light to flood the room. 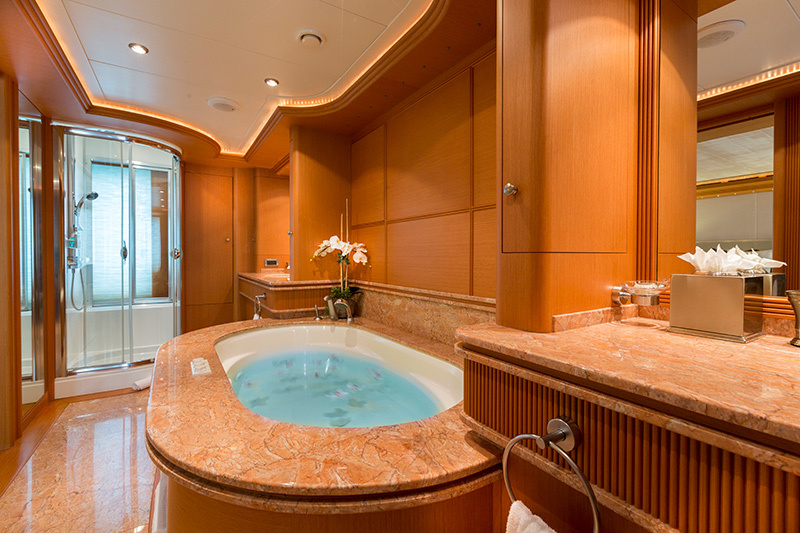 The room has an ensuite master bath with an oversized Jacuzzi, separate shower and facilities. The VIP Suite also features king accommodations. 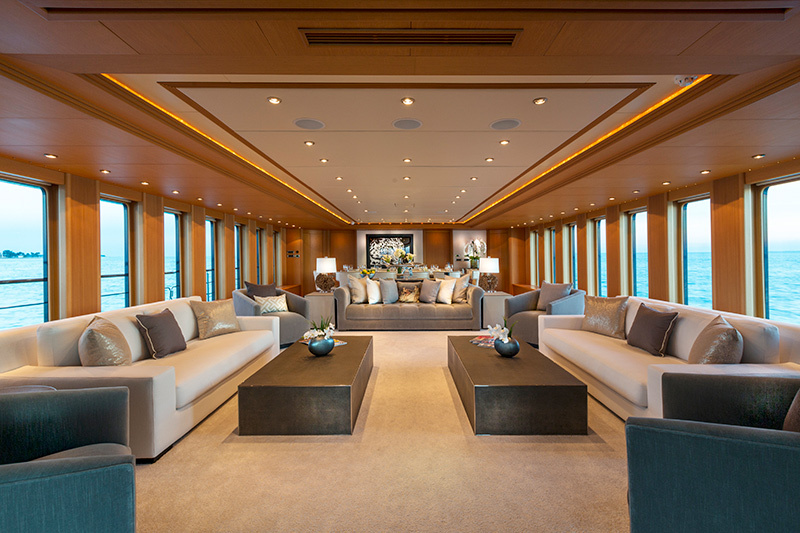 The main salon provides a plush retreat. 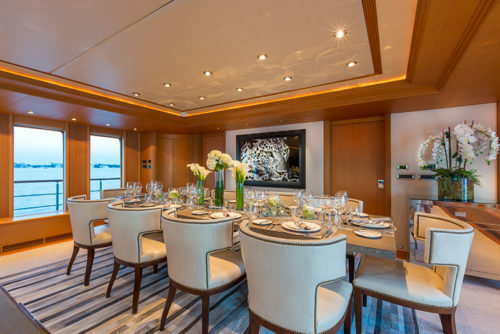 The volume is perfect for corporate entertaining, or large family groups; and for families with young children ICE 5 is child proofed throughout, and well suited for 5 couples with the 2 kings and 3 queens. 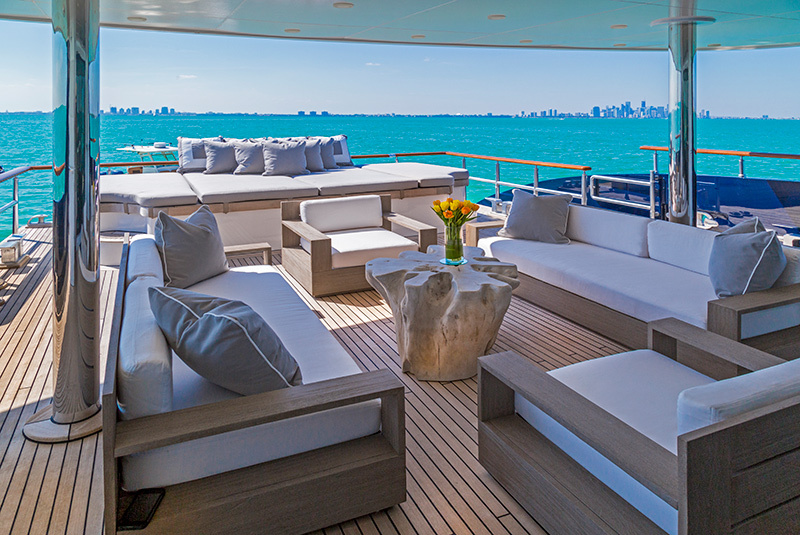 The main deck level features a spacious outdoor seating area aft of the salon with further sun pads and areas for lounging. 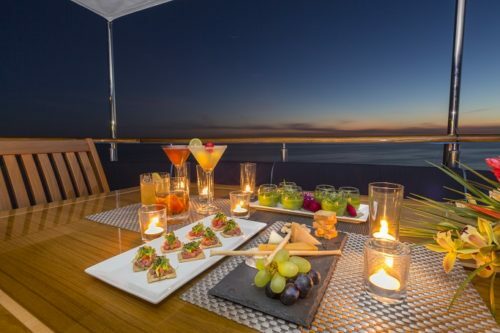 The top sun deck is a popular entertaining area with the large Jacuzzi, full size bar, barbecue grill, al fresco dining and comfortable sun lounging. 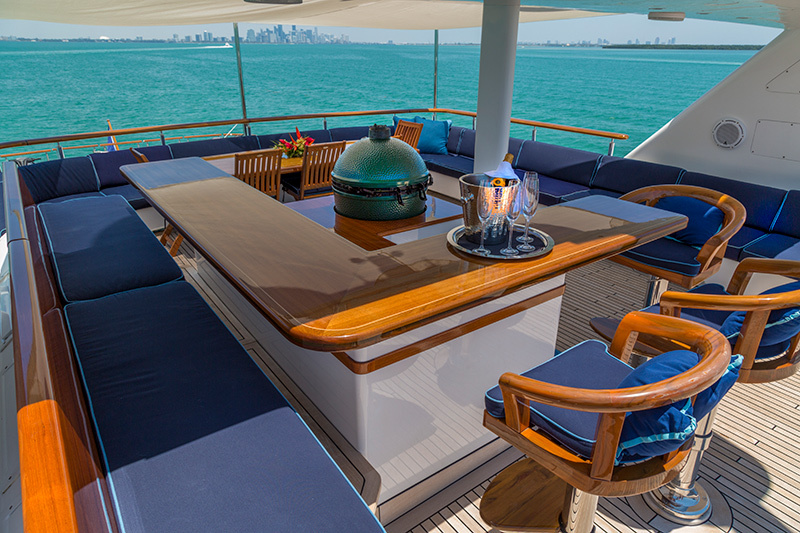 Her voluminous layout offers something for every charter guest, making her an ideal choice for large groups, families or corporate events. 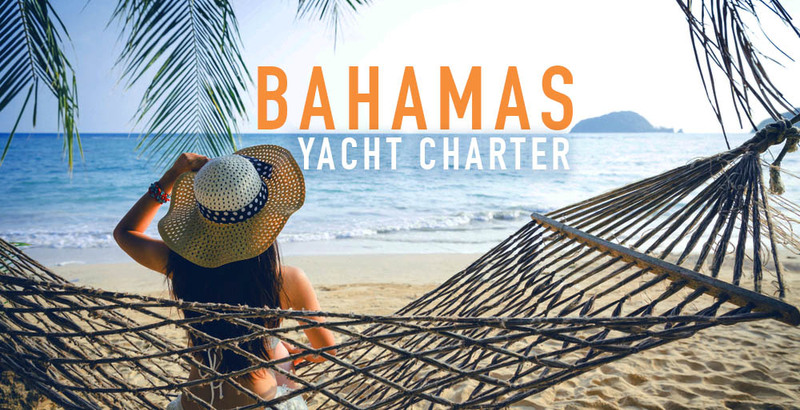 Her shallow draft is ideal for navigating the waters and islands of the Bahamas and her inviting interior and deck spaces are perfect for cruising the picturesque New England coast! 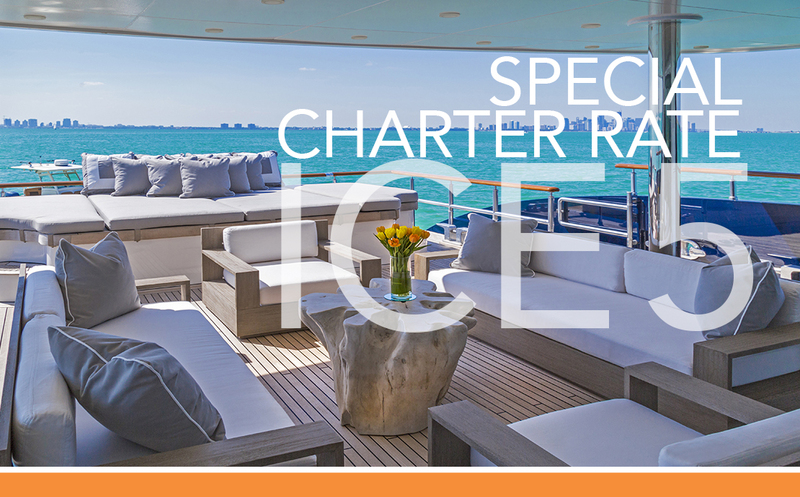 ICE 5 is available for charter in the Bahamas starting in September and will be available for charter in the Bahamas and Caribbean this winter! 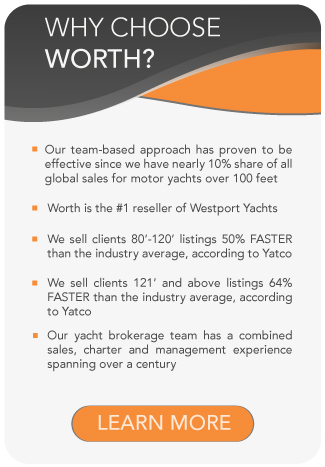 View the full listing to learn more about all the amenities she has to offer – ICE 5 Yacht for charter. 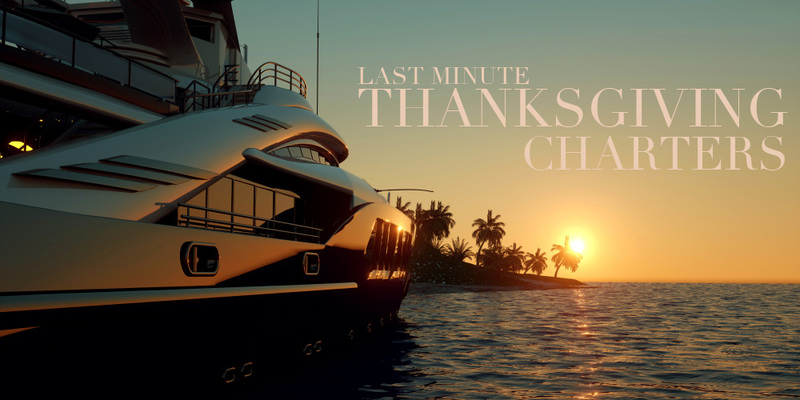 ICE 5 140′ TURQUOISE – SPECIAL CHARTER RATE!